On the 15th of every alternate month, Veronica Waghim and a few of her friends drive down almost 50 kilometers away from her village to the state capital of Kohima (to friends/relatives’ homes) to collect a few products that people in their neighbourhood have ordered from e-commerce portals. It may not be a smooth drive but she says that it is worth the effort when they get hold of the products, which are otherwise not available in the local market. Shoes, clothes and other accessories are the most common ones on the list of items ordered. Mostly branded merchandise that will not get delivered to the interiors of her home state Nagaland, get delivered to the larger cities. And people don’t mind driving down for that. Most of us imagine people from villages to wear plain unbranded clothes and footwear. States like Nagaland could well be an exception because they are not only willing to drive extra miles for the right attire, there is a well-defined brand consciousness among the youth as well. She says that exposure to the internet and international lifestyles have increased the aspirations of those in her village. So, whenever there are new product launches by a Nike, Adidas or even Prada, they are the first to know. And it is a matter of pride when someone of a particular age group gets is before the others. Further, she also knows of people who drive from as far as 200 kilometres away to get goods ordered online. “Most of us work part-time as guides for tourists during busy seasons like the Hornbill festival (December 1-10 every year). Whatever money we make out of them is mostly spent on buying new apparel and shoes. The idea is to earn yourself and spend as you please,” she says. 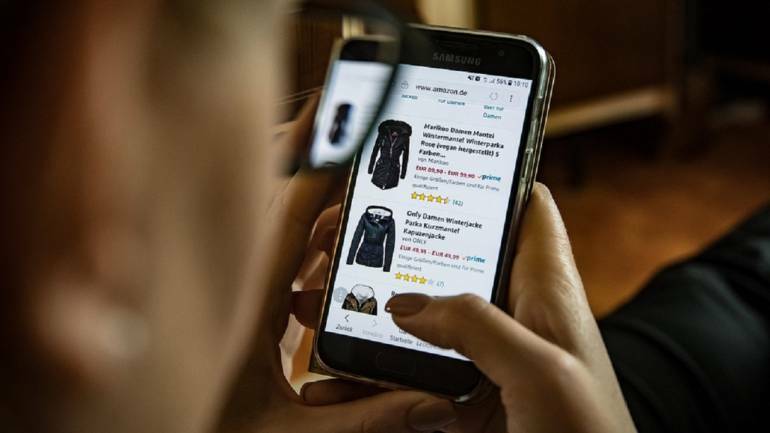 Considered as the fashion capital of the country, the North East is estimated to contribute a majority chunk of branded apparel sale of online retailers. But last mile connectivity has been a consistent problem. A Bain and Company report had said that China, South Korea, and increasingly India, are at the forefront of digitalisation in retail. In fact, India saw a compounded annual growth rate of 53 percent in e-retail penetration from 2013 to 2017 beating its Asian peers. E-commerce players are also taking note. Amazon, for instance, expanded its delivery network to the North East in early 2018. But there are several states, especially Nagaland, that only have a handful of delivery points. As e-commerce players drive business deeper into the Indian hinterland, youngsters like Waghim may no longer have to travel to bigger cities to get their aspirational goods. And the misconceptions about the spending abilities of Indians in rural markets may also get busted with a significantly larger sales reported from smaller towns. While road infrastructure is shoddy in several parts of India, especially the North-East, there is a rising opportunity for the global players to cater to the newer markets that are opening up. Setting up a physical store may not be feasible, but local grocery stores could be used as a delivery point. Similarly, post offices and bank branches could also facilitate product delivery. The market for branded products has fast moved into areas which were once viewed as ‘no-go’ areas. The buyers are willing to walk a few miles to get their products. It is time the retailers also get ready to make their move.